These Corona professional grass shears from Ruddick Garden Gifts have a scissor cutting action which are great for trimming grass, ground cover and small hedges. 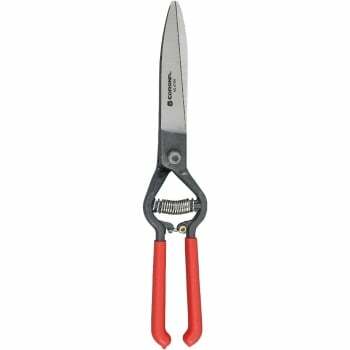 These grass shears have resharpenable, forged steel alloy blades and comfortable non-slip grip handles. They have been fully heat treated for strength and come with a lifetime warranty.